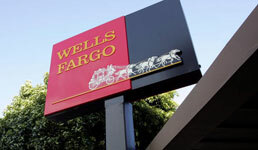 A Finra arbitration panel has ordered Wells Fargo Advisors Financial Network to pay $360,800 to a former client, according to a press release from the law firm of Goodman & Nekvasil, P.A., which represented the client. Kathryn Schmierer, formerly known as Kathryn Pearson, an unemployed divorcee, alleged that in 2011 and 2012, Raymond Kvalvog, a branch manager at the time in Wells Fargo’s Fargo, N.D., branch, recommended that she invest a substantial amount of her savings in junk bonds, according to the press release. The claim alleged Kvalog failed to disclose the risks of the investment, that he himself didn’t understand them and that the recommendations were unsuitable because “virtually all of her savings were in her Wells Fargo account” and she depended on them for her income, the law firm says. Schmierer sought compensatory damages of $172,000 but the Finra panel found Wells Fargo liable for securities and common law fraud, awarding her $100,000 in punitive damages, $68,800 in lawyers’ fees, $172,000 in compensatory damages and $20,000 in costs, according to the press release. Kvalvog left Wells Fargo advisors in 2013 for Dougherty & Company, where he remained for two years, according to his BrokerCheck profile. He has not registered with another firm since then, according to BrokerCheck. Last month, another Finra panel ordered Wells Fargo and Kvalvog to pay $75,384 to another client who was allegedly recommended unsuitable investments as well, according to Goodman & Nekvasil, who represented that client as well.